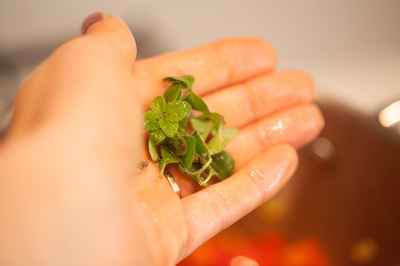 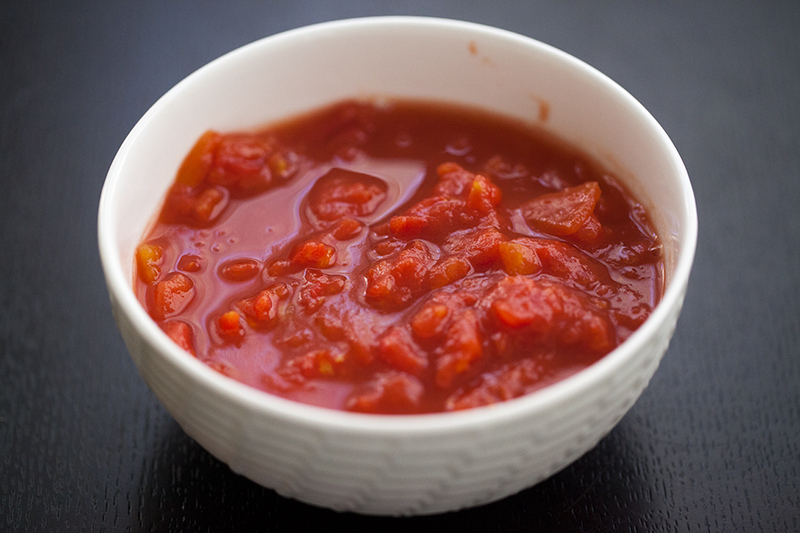 If using fresh tomatoes, blanch them in a large bowl of boiling water for 2 minutes and drain. Dice or puree in blender. 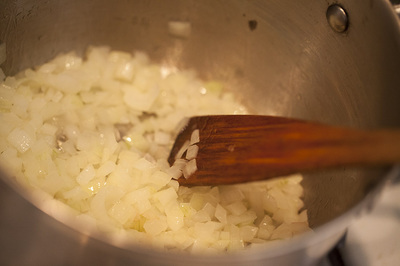 In a soup pot warm olive oil over medium heat. Add onion, half of garlic and sauté, stirring, until onion is softened, about 5 minutes. 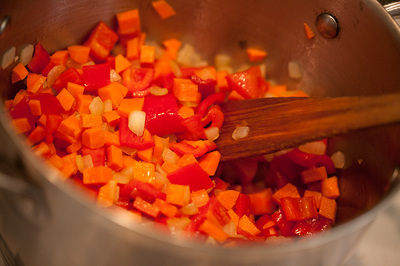 Add carrots and pepper and cook for about 5 minutes. 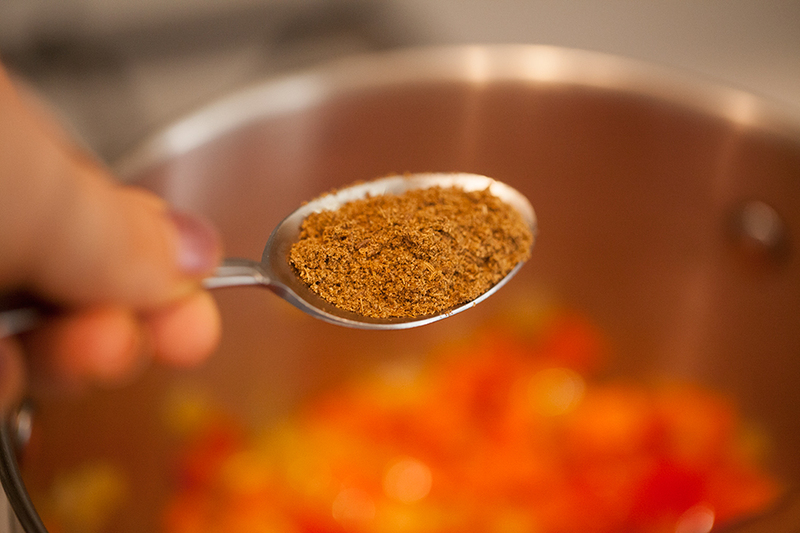 Add cumin and cook, stirring, for 30 seconds. 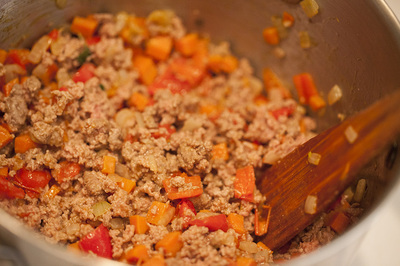 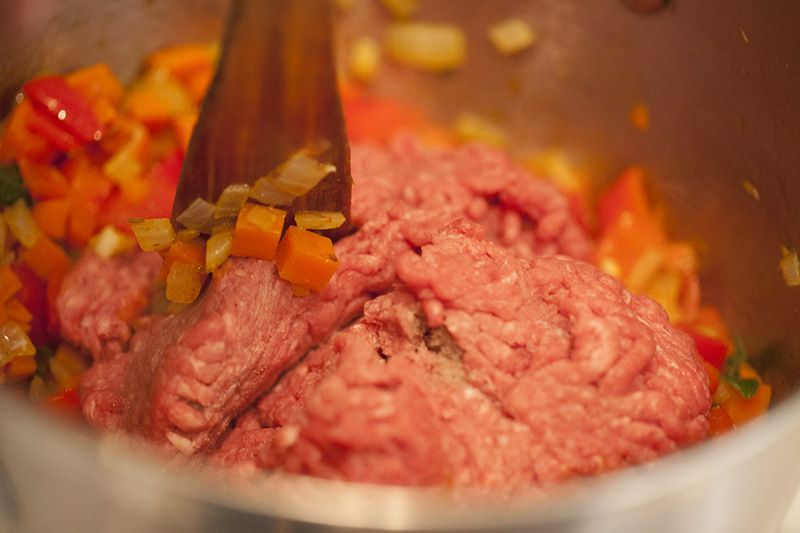 Add beef and cook, stirring and breaking up lumps, for about 8 minutes. 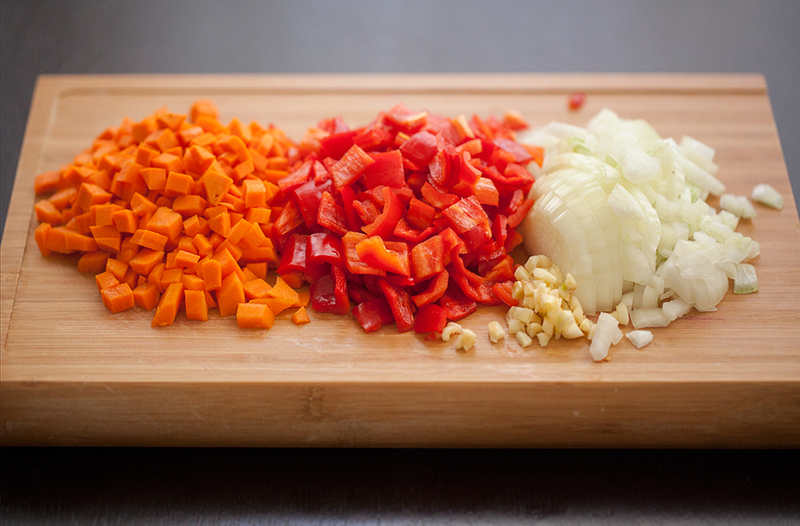 Add diced tomatoes, water, oregano, chili red pepper and salt and simmer, uncovered, for 25 minutes. 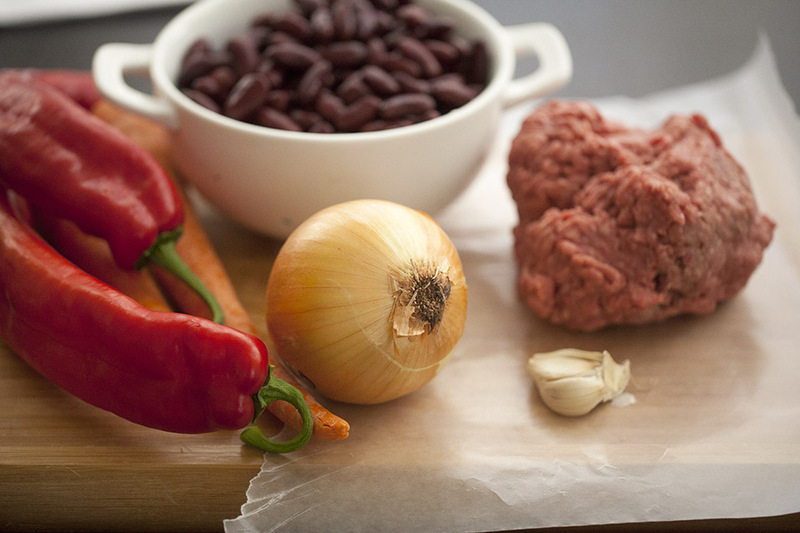 Add beans and remaining garlic and simmer until beans are heated through, for a 5 minutes. 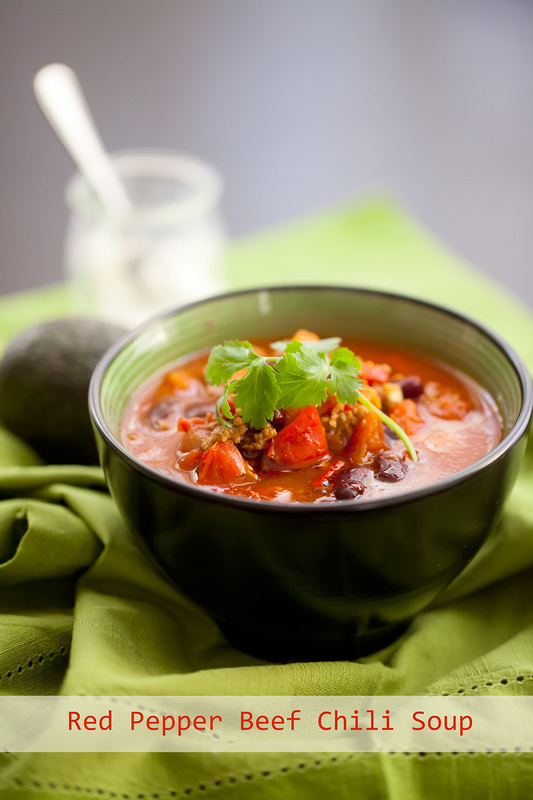 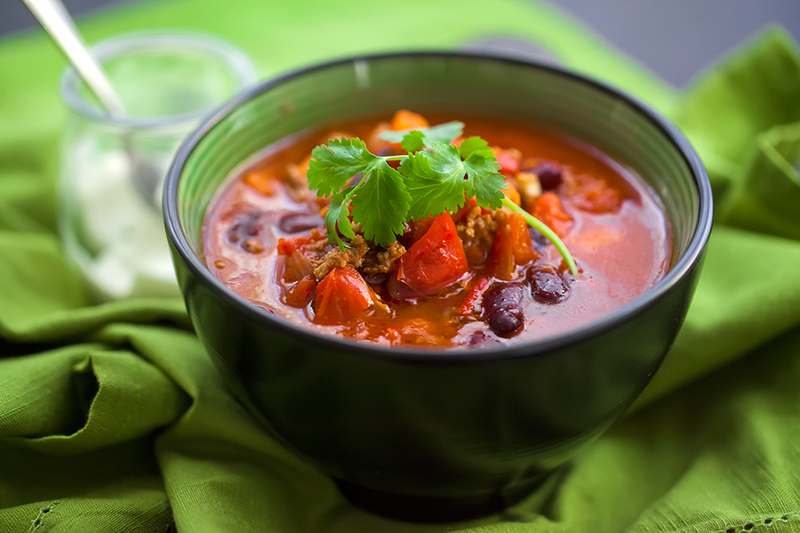 Garnish chili with cilantro and serve with a sour cream.